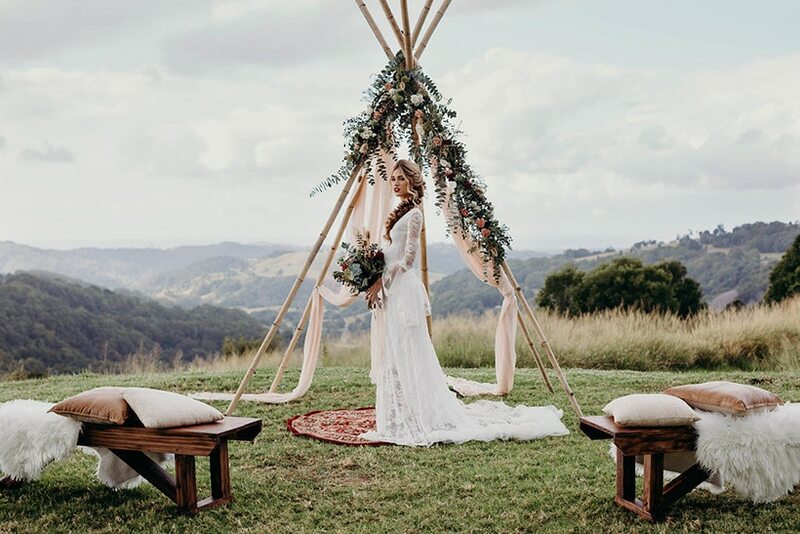 Gold Coast event stylists The Perfection Project are the team to talk to if you’re looking for those rustic feels, boho vibes or vintage moods for your wedding day! 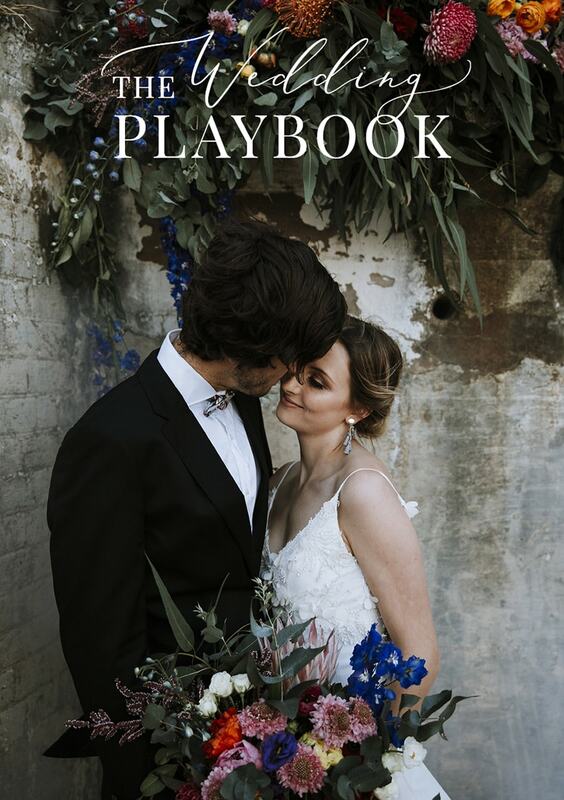 This talented family are always excited to brainstorm ideas with their couples and will help you find a way to achieve your styling dreams within your budget. 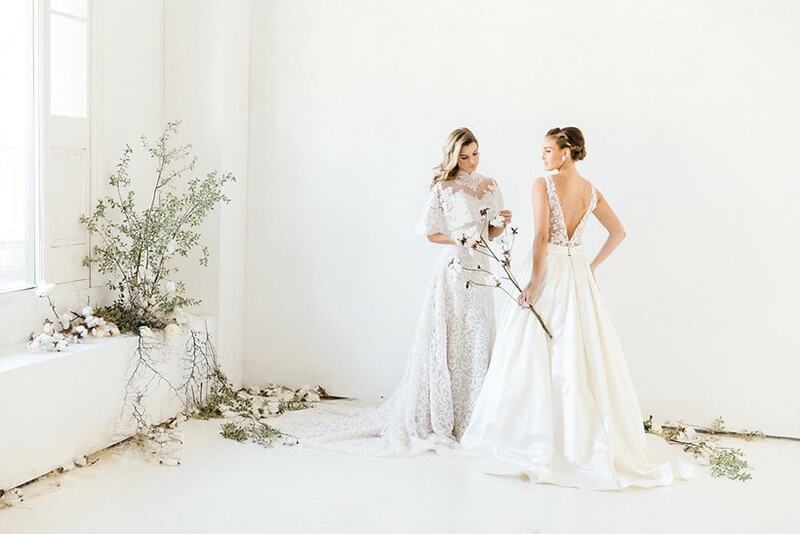 They have everything covered with a stunning catalogue of furniture, lighting and decor, a love of balloon and foliage installations and a suite of on-the-day services for a seamless celebration. 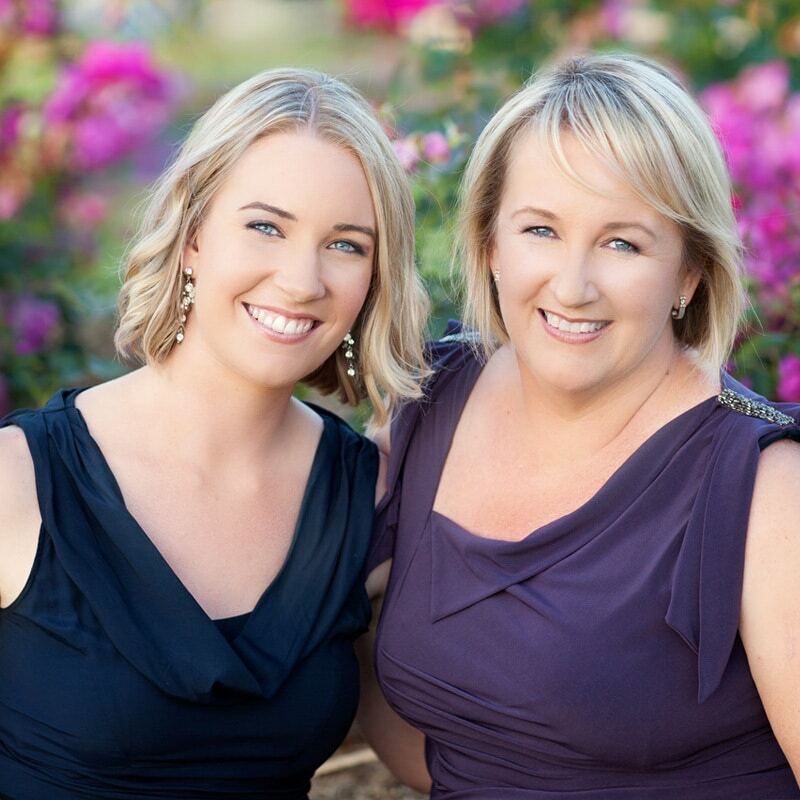 Feeling bummed about the cost and overwhelmed by the scale of your wedding plans? 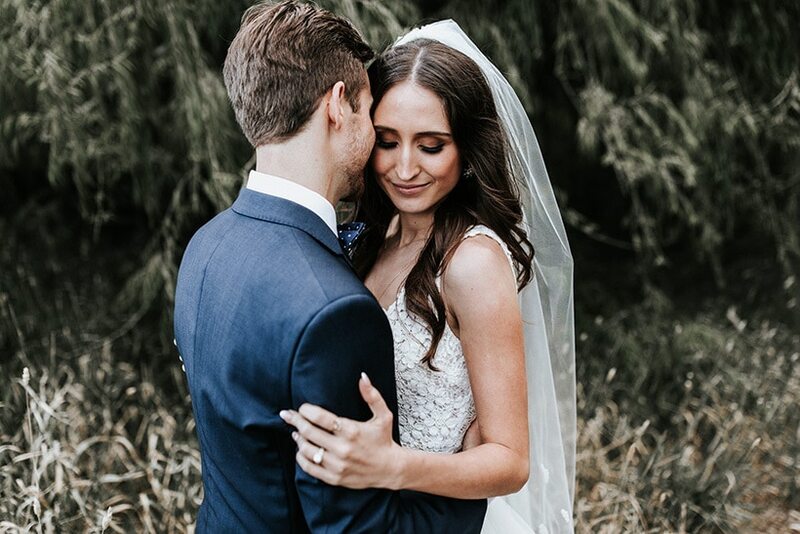 Newlywed Sarah knows exactly what that’s like! 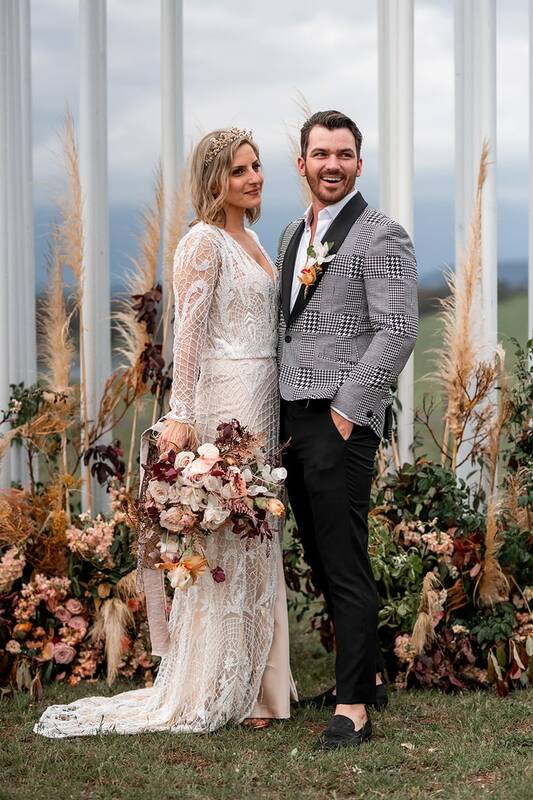 Here she shares the story of her relaxed estate wedding and sage advice for planning a beautiful celebration within your budget. 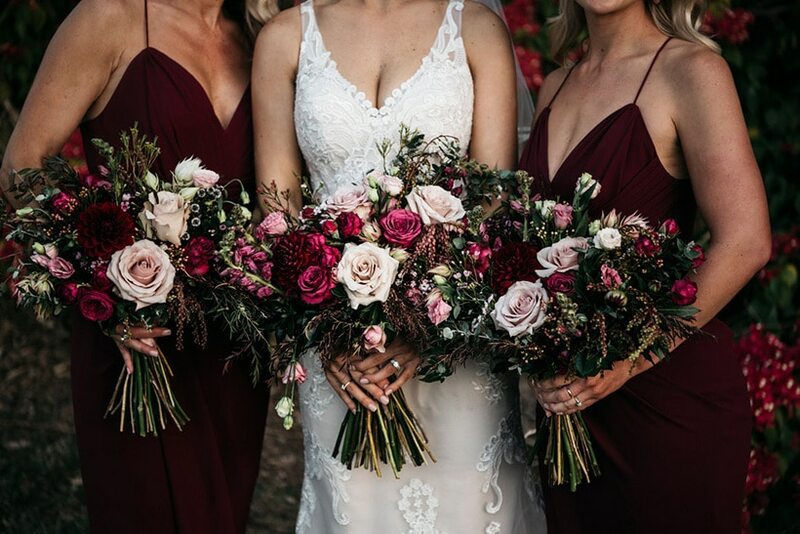 Florist We Love: New England Flower Co.
New England Flower Co. is a Brisbane based florist bringing avant-garde creativity and old-fashioned romance to weddings in South East Queensland and Northern New South Wales. 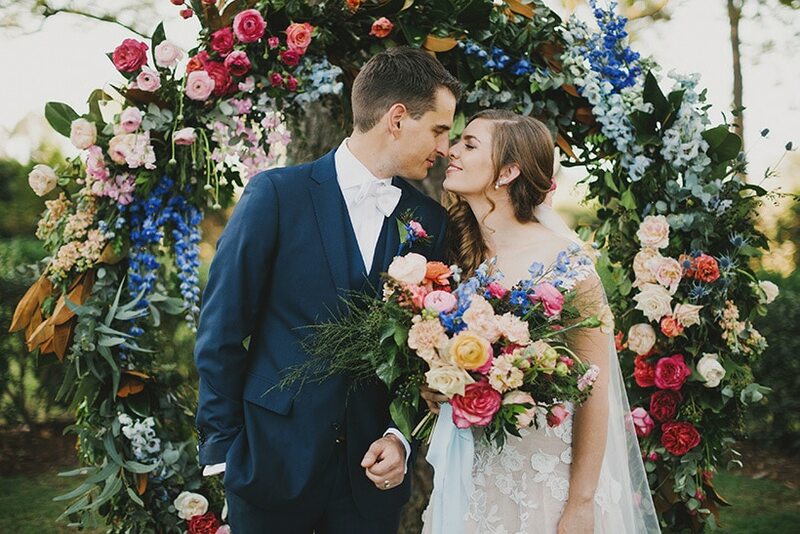 Jessica and her team lovingly prepare abundant arrangements with unique textures and seasonal touches that blend beautifully with any wedding style! 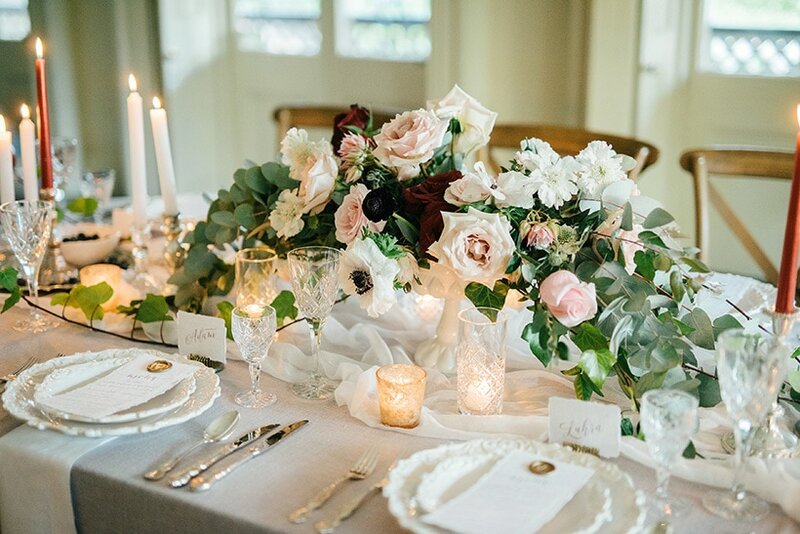 Read More about Florist We Love: New England Flower Co.
Fine line stationery in timeless white and grey welcomes wedding guests to this elegant estate reminiscent of a French chateau! Translucent fabric drapes across a glass conservatory filled with gold rimmed candles, cascading flower arrangements and scattered petals. 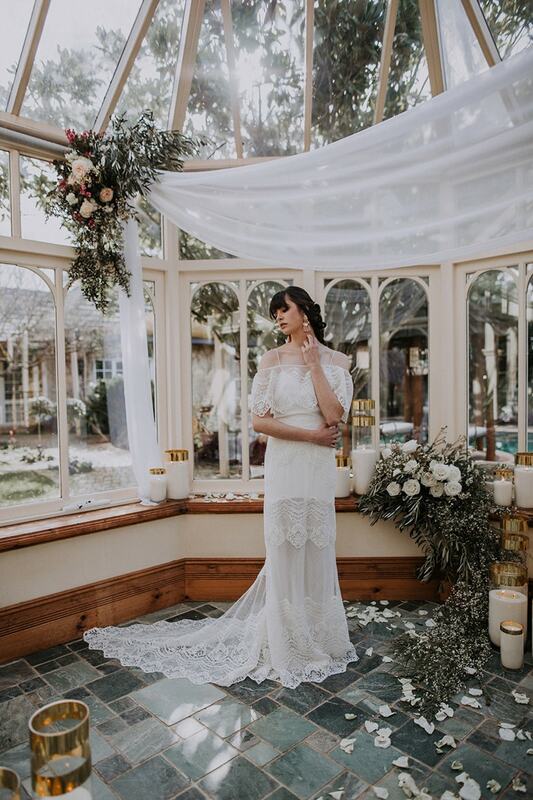 The bride makes her entrance to the ceremony in a bohemian cold shoulder wedding dress paired with blush tassel earrings and a romantic braided hairstyle. 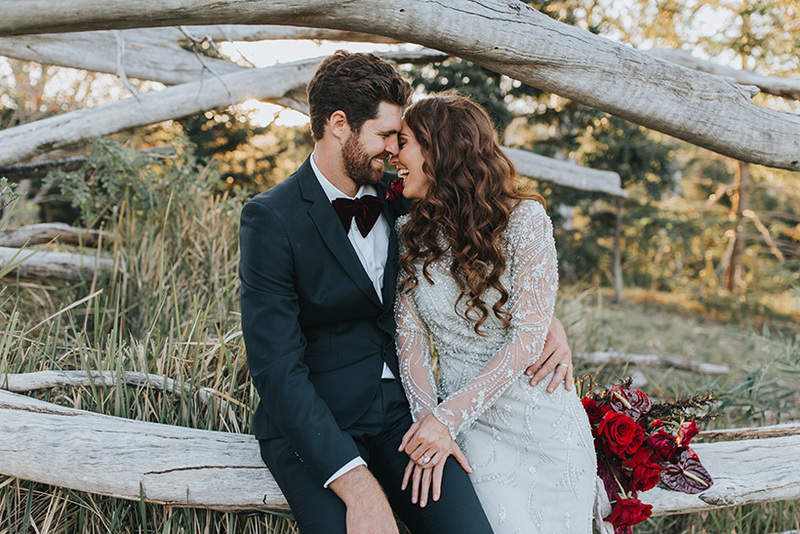 Mallory Sparkles is a travelling wedding photographer based on the Sunshine Coast who specialises in capturing love-filled days in her fun, light and natural style. She knows exactly when to click to catch all of the emotions and moments you want to remember. But don’t just take our word for it, check out her impressive body of work!